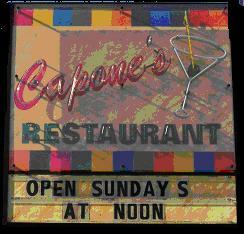 For over forty years Matt Capone and his family have provided the East Norriton area with great food at a great price. The restaurant is family-oriented with a touch of sports bar, primed with some of the best beer you can find in the region. Our extensive menu includes traditional pub fare, delicious entrees, and even a kids menu. For the beer connoisseur in all of us – take a moment and visit our Bottle Shop in the back of the restaurant to browse our incredible selection of beers from local micro breweries, domestic craft breweries, and international micro breweries.